Doloras Jean “Jeanie” Towle was born to Amos Eli Towle and Clarice Elma (Buffington) at home on July 1, 1932 in Furnas County, Nebraska. She was the youngest of three children. 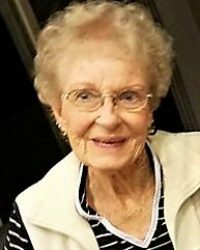 She died on Sunday, October 14, 2018 in Olympia, Washington. She was 86 years of age. Jeanie attended elementary school in Furnas County, Nebraska, and graduated from High School in Vallejo, California. It was while working at the Benicia Army Arsenal that she met and later married Jack Drinville, the love of her life, on June 29, 1952. To this union were born four children: Debra Ann, Gayle Marie, Betsy Jean, and Jacki. The family lived in Benicia, California until they moved to Tooele, Utah in 1961. During her working years, Jeanie volunteered/ worked at East Elementary School, and later as the secretary at Stansbury Park Elementary School. After retirement, she volunteered for numerous organizations, including St Marguerites Catholic Church, where she was an active member. Jeanie was an avid golfer and won several championships on numerous occasions. She enjoyed gardening, sewing, and time with family and friends. She had a lively sense of humor and was a woman who met life with a sense of duty, insight and a bit of spice, within the bounds of being a lady. Along with Jack, Jeanie enjoyed exploring the back roads, finding rock, mineral and crystal specimens, and working on lapidary projects from their discoveries, making rings, necklaces, bracelets and earrings. In their winter home in St George, Jack and Jeanie created a desert cactus arboretum, which grew from small plantings and samples to large examples of varieties. Jeanie enjoyed the beauty of nature in the desert, as well as in mountain settings. She found a peace within the beauty of creation, which extended her understanding of faith and wonder. Her daughters loved coming home from school; coming around the corner and smelling her dinner cooking on the stove from half a block away; she was a good cook. Christmas dinner was at Mom and Dad’s house for many years because no one wanted to miss out on her turkey with all the trimmings, and especially her pumpkin pies with heaps of good, old fashioned, real whipped cream. Though Jeanie never played a musical instrument, she had favorite songs and musicians such as Billie Ray Cyrus’ Achy Breaky Heart, and we would all sing and dance around the house singing at the top of our lungs while Dad just sat and shook his head. Jeanie was preceded in death by her parents, her siblings, and her daughters Gayle and Jacki. 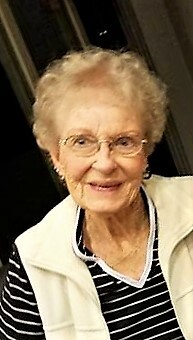 She is survived by her husband Jack; daughters Debra Ralston, and Betsy (Mike) Bacon; 8 grandchildren, and 11 great-grandchildren. She is also survived by many of her friends. Memorials to Jeanie are suggested to be given to the St. Marguerites Catholic Church Memorial Fund, or the American Cancer Society.